There are many benefits to being a member of Foothills Nordic. Associate* – $30 – A NEW category for FNSC alumni or volunteers with no family members affiliated with a FNSC program. 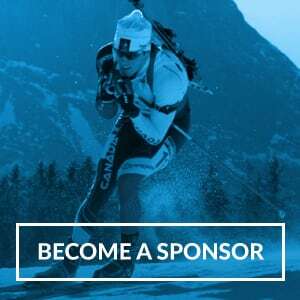 *Associate Membership Benefits include Club news, 10% discount at Lifesport, Strides Running Store, The Norseman, Trail Sports, as well as, invitations to club-only sales at these retail outlets, and 15% discount at Mount Engadine Lodge and Baker Creek Chalets. Associate Members do not have voting privileges, nor can they participate in FNSC training activities. Full members will be given priority to capped-capacity events. All payments must be made online, by credit card. We accept both Visa and Mastercard for online payment. Please visit our refund policy page. Registrants are sent a confirmation e-mail of their transaction. Once received, you are encouraged to keep current with club activities and notices by reviewing this website. Those registrants also signing up for ski programs will be contacted by a program coordinator or coach with session information. What do membership fees pay for? News this season (2018-2019), all Foothills Nordic members participating in programs MUST pay Confederation Trail User Fees. If you are registering as a Family but have only one member participating in a program, you can choose to purchase an individual membership (Adult OR Youth/Child), rather than a family membership. What do Confederation Trail User Fees Pay For? In 2017/2018, Foothills Nordic collected funds from other clubs using Confederation Trails to offset these operating costs. For the 2018/2019 season, other clubs using Confederation Trails will be paying the same user fees as Foothills Nordic members. Last season, Foothills Nordic worked closely with the Calgary Nordic Alliance (CNA) to fill volunteer positions for Confederation operations. This comprised of many individuals from other clubs and the broader community. In the coming season, Foothills Nordic will work more closely with CNA to manage facility operations, offloading much of this work from the club.